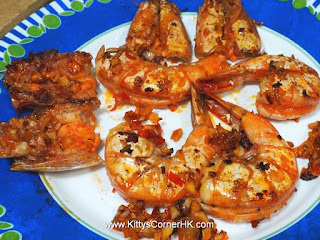 Buy a few shrimps, pan fry a few slices pumpkin, serve with little rice or noodle. 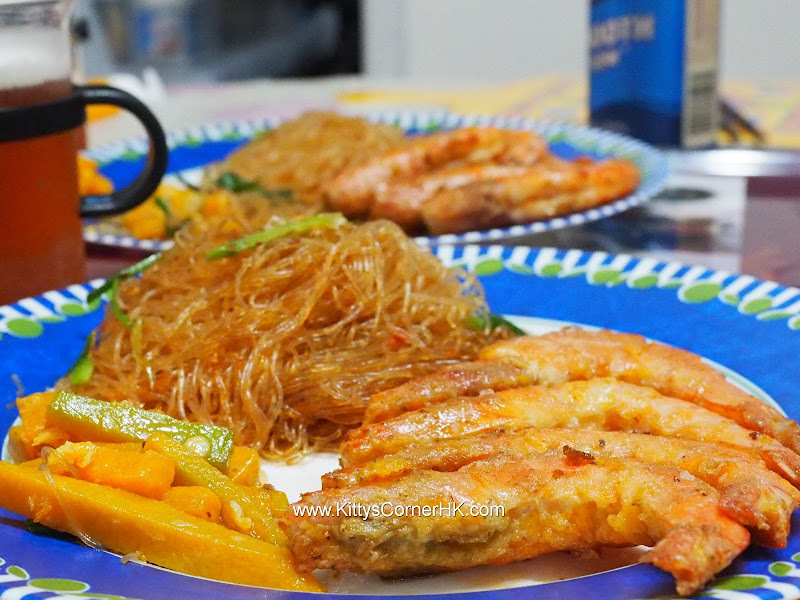 I prefer Chinese vermicelli! Rinse prawns in running water, cut off feelers and eyes with scissors. Rinse a salted egg, crack it, detain half the egg white with egg yolk. Use a fork to grind the egg yolk to small portions. 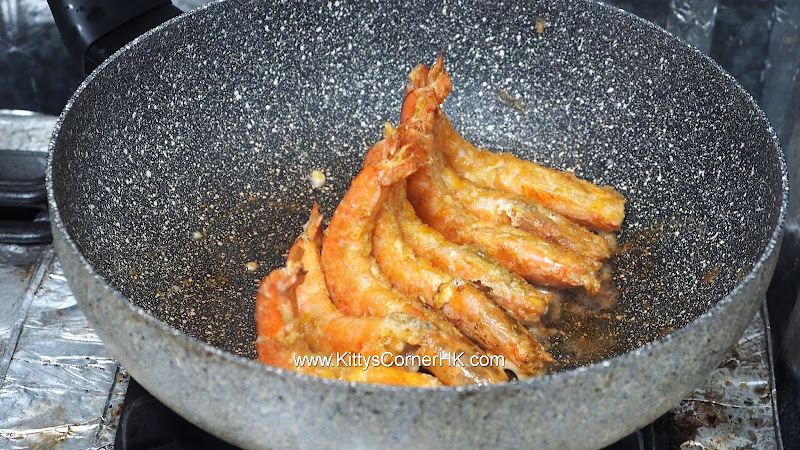 Put in shrimps, use both hands to try to stick the salted egg yolk to the shrimp, be careful to keep the shrimp in one piece! 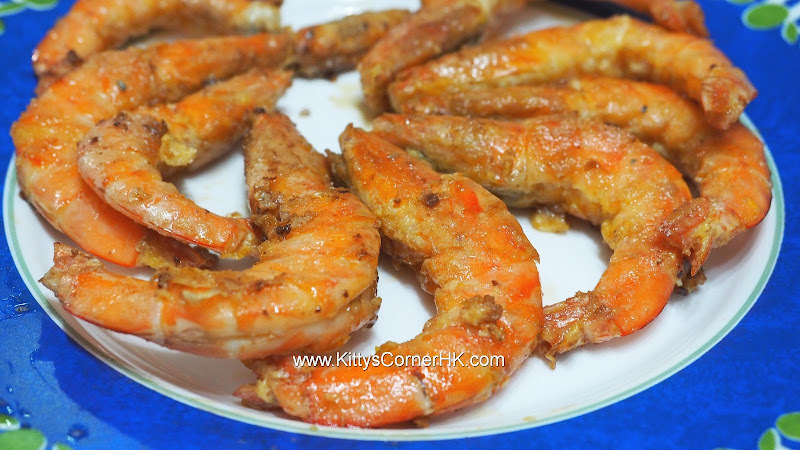 Sprinkle flour or corn starch "just before" you put the prawns on the frying pan. The flour helps making the shell golden brown. 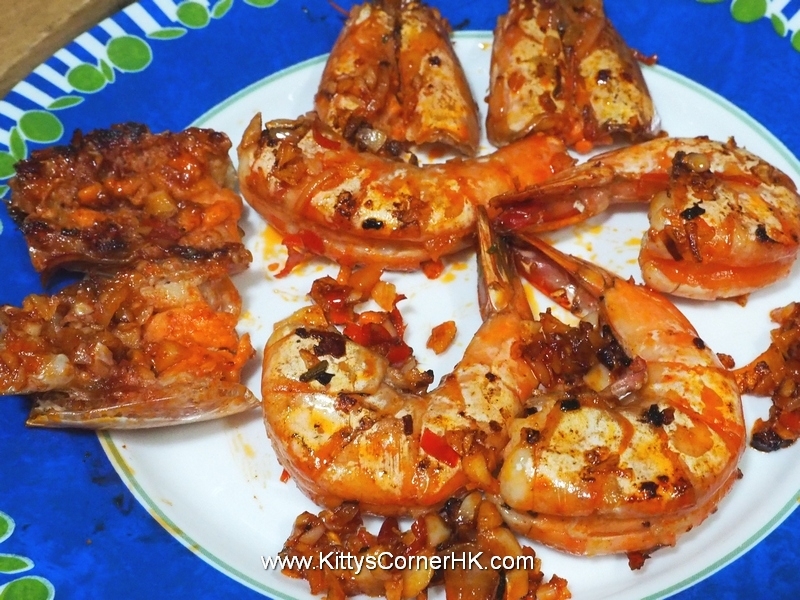 Put a frying pan on medium high heat, put in olive oil, when it's hot enough, put in the shrimps, one by one with the shrimp back towards the frying pan so the shrimp heads receive more heat and avoid from overcooking. 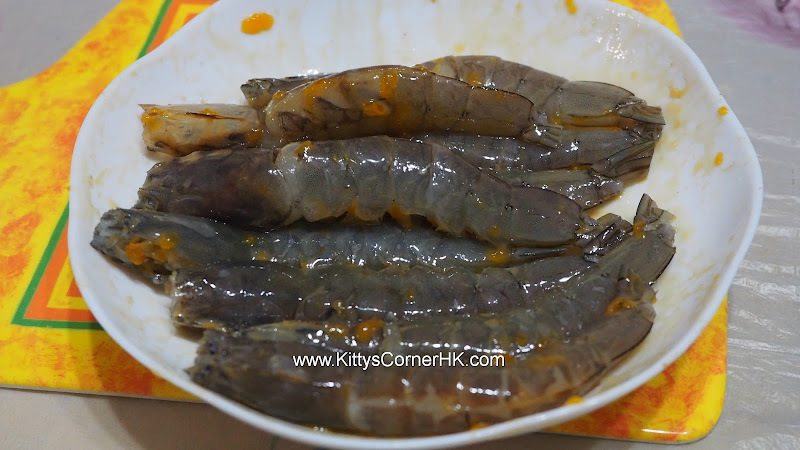 If you see dark spots in the shrimp heads, then the shrimp heads are not cooked yet. Leave them on for a few seconds then turn to pan fry both sides until golden brown. Dish. 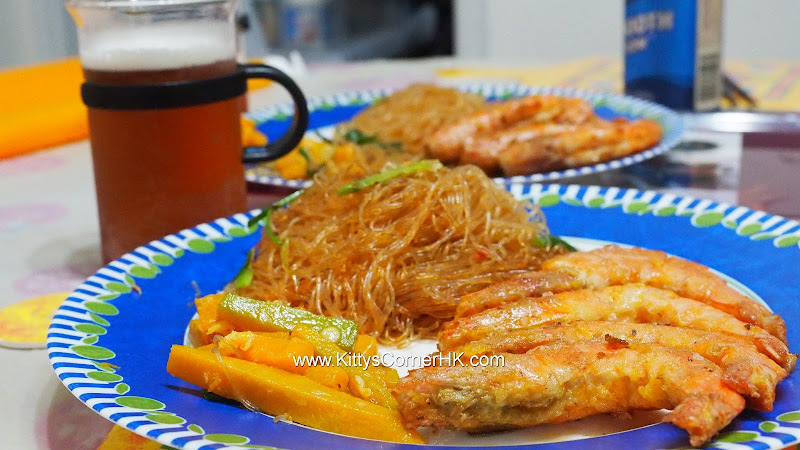 Serve with rice, noodle or Chinese vermicelli.